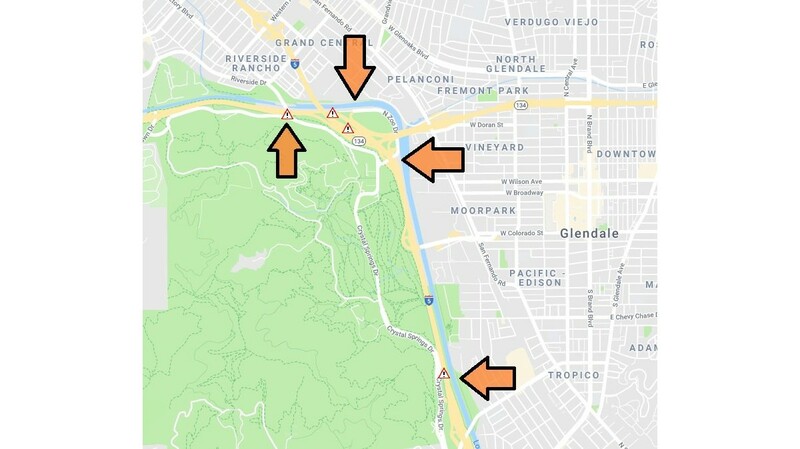 The fire burning Friday in the Griffith Park area of Los Angeles has prompted Caltrans to close a number of freeway offramps in the area. On the 134 Freeway, the eastbound Riverside Drive and westbound Zoo Drive offramps are closed. On the 5 Freeway, the Griffith Park Drive and Zoo Drive offramps are also closed.